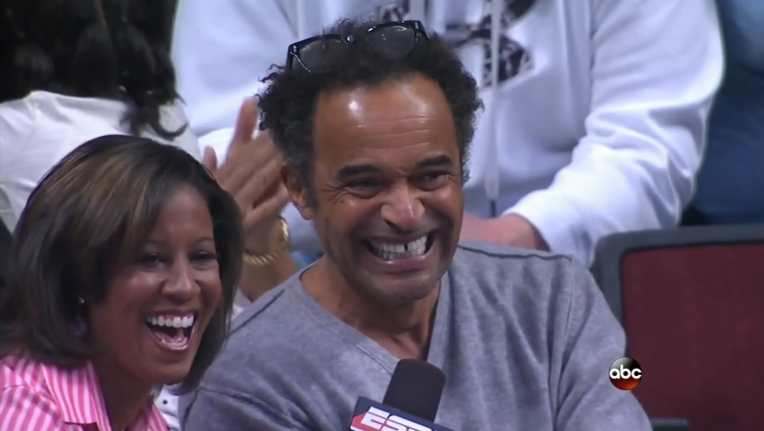 Joakim Noah led the Bulls over LeBron and the Heat on Sunday, but anyone who watched the game knows Joakim’s father, Yannick, was the one who really won the day. Yeah, this guy. When Yannick won at Roland Garros, his father, the soccer player Zacharie Noah, was the first to push his way onto the court and hug him. Thirty years later, Yannick remembered that moment. “It’s funny to think that such a personal moment with my father is also part [of] everyone’s memories in France,” he said to a writer from the Roland Garros site. History works in funny ways.